But, I’ve found it’s time to get creative. 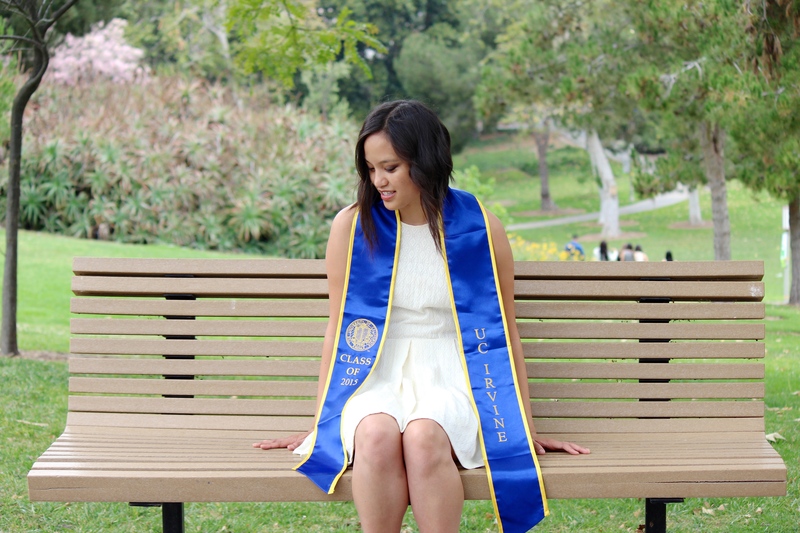 Though, before that all begins, I want to commemorate my past four years here at UC Irvine with you all. It’s been one hell of a journey and fun ride that my small town Northern California soul would be proud to look upon myself today to see how much I’ve grown out of my shell and bubble to put myself out there. I wanted to play music. I created fun YouTube covers, played at a number of light-hearted talent shows, and met some amazingly talented musicians, vocalists and friends. I wanted to write. I used my voice on my blog as a medium to reach other souls, some of whom have personally reached out to me with the kindest words so dear to my heart. I wanted to get involved in the music industry. I ended up interviewing tons of local up-and-coming artists, singer/songwriters, musicians and pick apart their brains a bit to learn just a little more about myself and about the music industry–and maybe why I love/hate it too. I wanted to pass on my love for the Philippine culture. I involved myself in the Kababayan organization for four years, teaching one cultural dance suite and then coordinating the entire culture night the next year. I learned a lot through this process, gained invaluable connections and friends, and was able to share my love with other souls who knew nothing about their culture. I’d love to share some photos with you all from the past few weeks. Here are a few photos and the blurb I shared with friends. I hope it finds you well, as well. When I first came to UCI, all I ever said I wanted to do was to write, play music and be a part of Kababayan’s culture night. I’ve doubted spending my time as a student, procrastinated playing music too many nights, stayed until 5am writing papers, spent too much money on food runs and decolonized my mind with too many club meetings. What I was given back was an endless amount of shared memories and genuine moments with individuals as I began to understand my place in this world as a Filipina-American woman. From all the YouTube stars who hit on me, musicians I’ve befriended, individuals who’ve believed in me more than I believed in myself and made me laugh, cry, and stress over these past four years, I never knew I would be able to have done any of the things I have done. And for that, I am eternally grateful. I’ll miss you UCI. Thanks for the good times. And here’s a fun moment where I was able to capture such an epic moment of graduation, and share it with dear friends. If I have learned anything about myself these past four years, it is to always live confidently in your own name (and no one else’s), but to also realize your potential as part of a community. I took the chance and pushed myself when I knew I was too scared myself. I put myself in opportunities to lead when I hated being in front of people; I went to countless concerts by the ones I love to only make me feel even more jealous of their work; I wrote and wrote until I realized I do have a voice and could still use improvement; I went to Vegas, had my first taste of alcohol, and involved myself in questionable things while I tried to stay as true and honest to myself. Welcome to the new life! The journey has been waiting. Thank you so much! That means a lot to hear. And it really just means a lot how you’ve been such an active reader. I can only hope for the best. “The journey has been waiting”–there’s no better way to say it. Thank you! Congrats, Rachel! I’ve loved reading through your posts the past year or so. As a fellow Class of 2015 graduate, I wish you good luck on your your post-grad life, and I can’t wait to read about it! Thank you! That means so much to hear. I really do appreciate how you have been such an active reader of my blog. I hope your post-grad travels suit you well as well! I can only hope for the best!